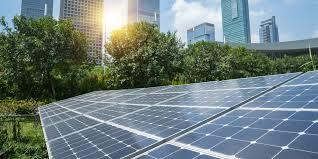 Some of the top Chinese solar companies are all set up to set up capacities of 20 GW plus in the near future as they look to tap increasing global demand for solar PV given the record low prices being seen across the world. The Chinese solar capacity has always exceeded the rapidly growing demand as the Chinese have kept on investing money to expand capacity and improve technology. Though there have been periods of massive overcapacity and severely dropping prices (as in 2016), this has not stopped Jinko Solar, Trina Solar and the Canadian Solar from expanding capacity and getting the balance back. The industry has alternated between periods of severe overcapacity to mild overcapacity. The industry is currently in the middle of the cycle as demand has picked up in a lot of countries. However, the massive expansion being planned will result in another cycle of severe overcapacity soon as some countries like China, USA are reaching the peak of their annual capacity additions in my view. China with 50 GW can hardly grow much more in terms of annualized capacity additions. Even the USA with 15 GW may have limited growth, given that the country’s energy demand as a whole is not increasing too much. China itself has more than 100 GW of capacity and this will further increase with the top Chinese companies like Tongwei planning 10 GW plus plants over the next few years. Even in wafers, Chinese companies such as Longi are already implementing huge capacity additions which are leading to pressure on the prices. The 20 GW plus capacities will ensure that the Chinese companies mark their undisputed dominance in the solar energy market as it will be almost impossible for other companies to come even close to the scale and the costs of Tier 1 Chinese players. Already the Chinese companies account for almost 70% of the global capacity and their costs are lower than other Western or Asian companies. With technology improvements and even greater scale economies, the gap between the Chinese and other players is expected to increase further. Chinese companies are also smartly hedging their locational strategy by setting up smaller plants in different countries to avoid the anti-dumping duties being imposed by other countries like the USA, Europe, and India. Most of the value addition will be done in China with panel factories being set up elsewhere to serve local demand. It will be extremely hard for countries to impose duties on multiple countries where the Chinese majors have set up their plants. They have already executed their strategy by avoiding USA duties through plants in Malaysia, Thailand, Vietnam and Mexico. At the current time, it looks impossible for anyone to stop the Chinese juggernaut in solar manufacturing.